In recent years things got even worse. The company was nearly destroyed due to questionable management practices, according to Cohen. However, it appears that the waters have calmed down now under new leadership. Instead of reinventing the wheel, the company vowed to refocus its efforts on what has proven to work, uTorrent. A new browser-based version of the popular client was released recently, and that appears to be one of the main focuses going forward. 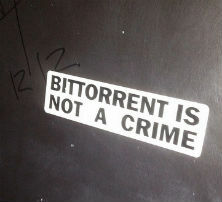 There is something fresh though – BitTorrent Inc. has a new name. While it hasn’t been published anywhere, the company formerly known as BitTorrent Inc. is now Rainberry Inc.
“Rainberry Inc is the official name of the company; it was changed right around the start of 2017,” Rainberry’s Chief Product Officer Jordy Berson informs TorrentFreak. He stresses that it’s purely a corporate decision and that none of the existing product brands will change. “The best way to probably think of it is that it’s not unlike how Alphabet Inc is the official name of the company most people know as Google,” Berson adds. It’s not uncommon for businesses to change their name, but it remains a bit of a mystery what the motivation was here. There must be a good reason why Rainberry is preferred over BitTorrent, especially since the latter is a brand that millions of people know. While BitTorrent Rainberry Inc. doesn’t owe the public a full explanation, it’s notable how the name change was kept under the radar. Rainberry has no corporate website and is not mentioned on the official BitTorrent.com or uTorrent.com websites, for example. In addition, all Rainberry employees still list BitTorrent Inc. as their employer while Rainberry doesn’t appear to even exist on Linkedin.